Former prime minister Atal Bihari Vajpayee was on Monday admitted to All India Institute of Medical Sciences (AIIMS). The Bharatiya Janata Party (BJP) stalwart has been admitted to AIIMS for routine check-up and investigation. 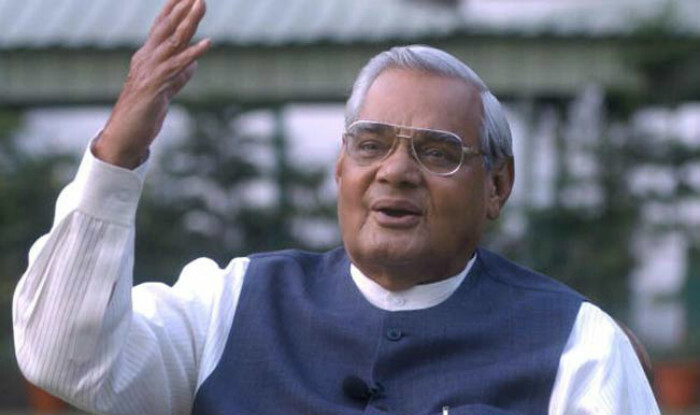 Vajpayee was taken to the hospital on the recommendations of doctors. He will undergo the check-ups under the supervision of Dr Randeep Guleria. Vajpayee was the first person from the BJP to have become the prime minister of India. In the 1996 Lok Sabha polls, the BJP had emerged as the single-largest party. Congress had won 140 seats while BJP had 161 in its kitty. Vajpayee was thus sworn in as the 10th PM of India. The BSP had promised support to Vajpayee but minutes later in the House, Mayawati rose to speak and said that she would be opposing the government. The numbers went against the government and Congress extended its support to the third largest party Janata Dal, led by HD Deve Gowda. Vajpayee was left with no choice but to submit his resignation to the President. “President gave us the opportunity (to form the government) and we took that opportunity. We could not succeed but that is a different matter. But we will still sit here as the largest opposition party and you will have to take our support to make this House work. Don’t ever forget that. And I assure you, we will support you in running the House properly. We assure you that while you want power, we want to work for this country and we will never sit and rest in this endeavour,” he had said in that famous speech.